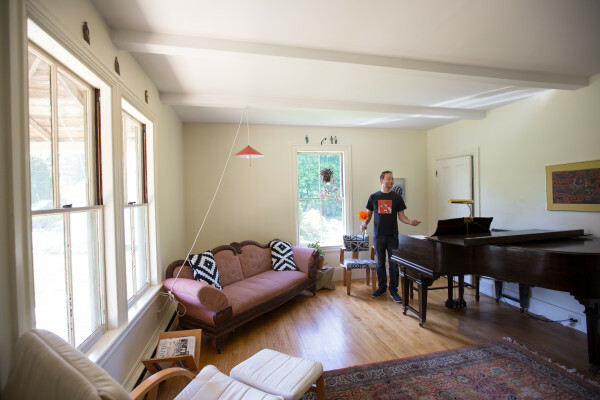 Ryan Blotnick gestures to his fiancee, Keri Kimura (not shown), while placing fresh flowers in the living room of their Southwest Harbor home for incoming Airbnb visitors. PORTLAND, Maine — Room booking site Airbnb will start collecting lodging taxes on behalf of its Maine hosts starting in April after reaching an agreement with the state. The announcement comes as Gov. Paul LePage’s latest budget proposed requiring online booking sites to collect and remit taxes directly. The budget, which would take effect July 1, also proposes raising the lodging tax to 10 percent from 9 percent. Airbnb has steadily grown its share of Maine’s lodging market, with hosts making about $26 million last year as the number of guests doubled from 2015.